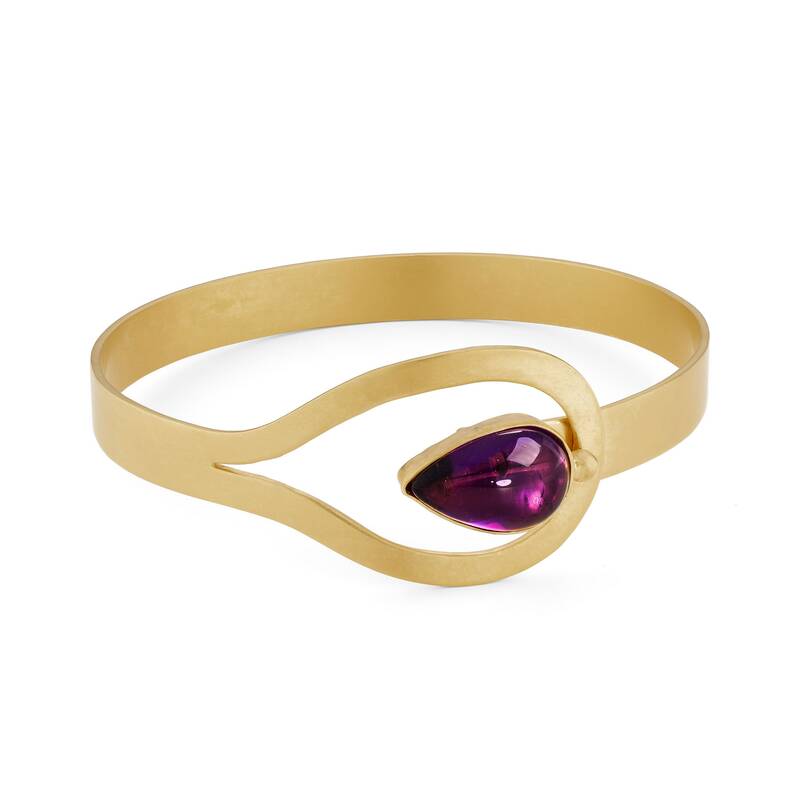 A stunning sterling silver bangle set with a teardrop-shaped amethyst and plated with 24 carat gold. 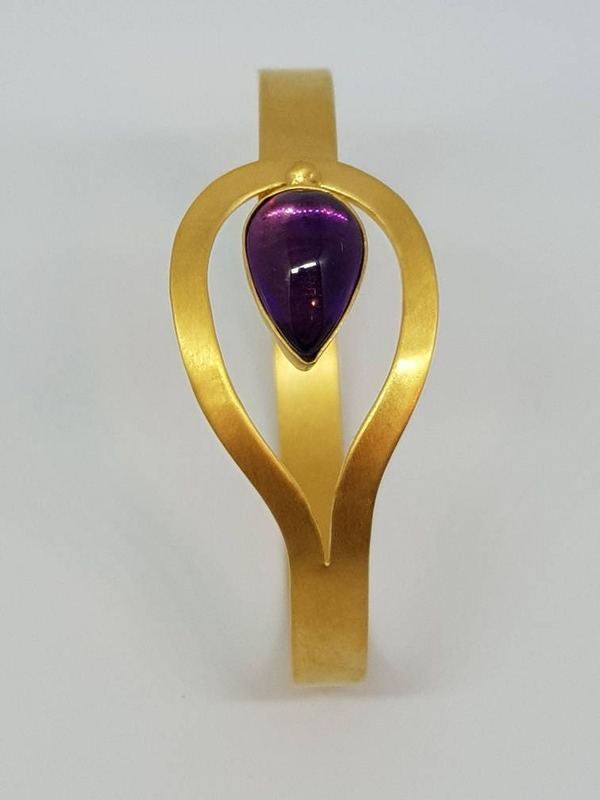 The piece was inspired by the jewellery of South Asia and is a pared-down design that I hope reflects the essence of the style. 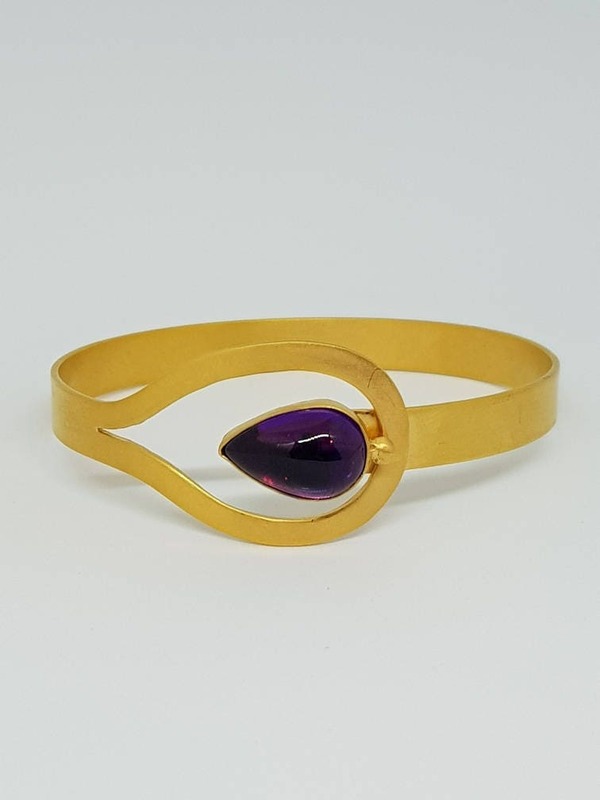 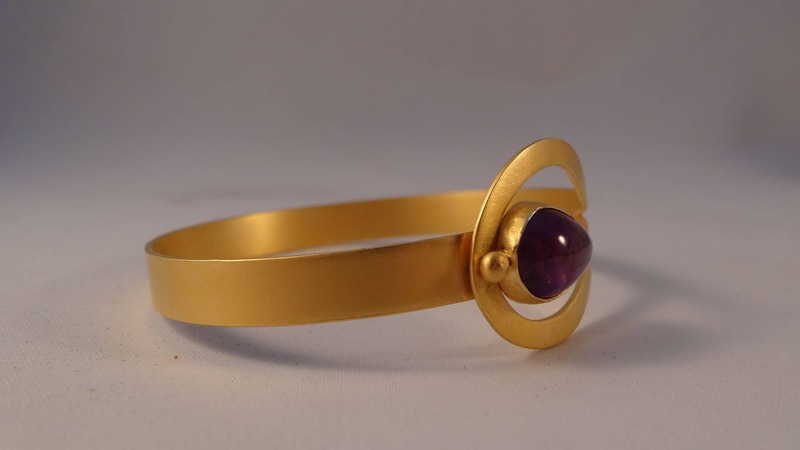 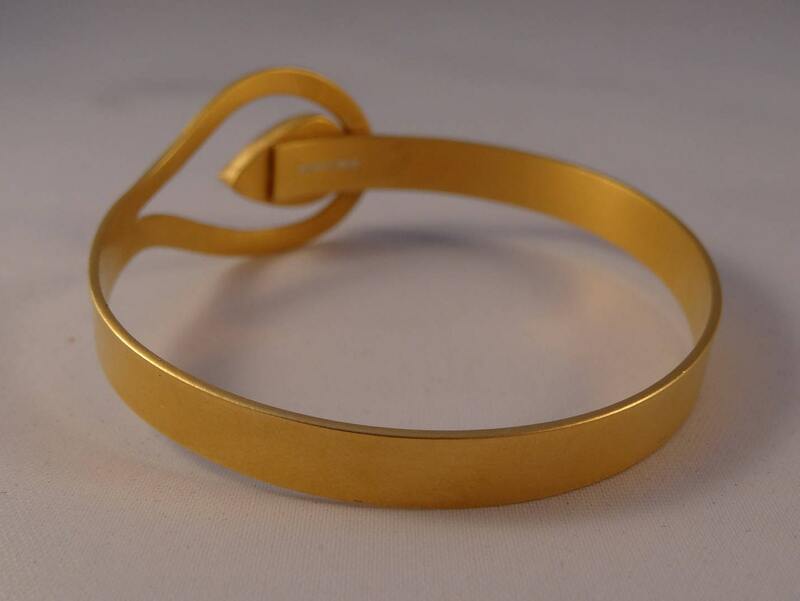 The bangle is 7mm wide and the amethyst measures 10 x 15 mm. 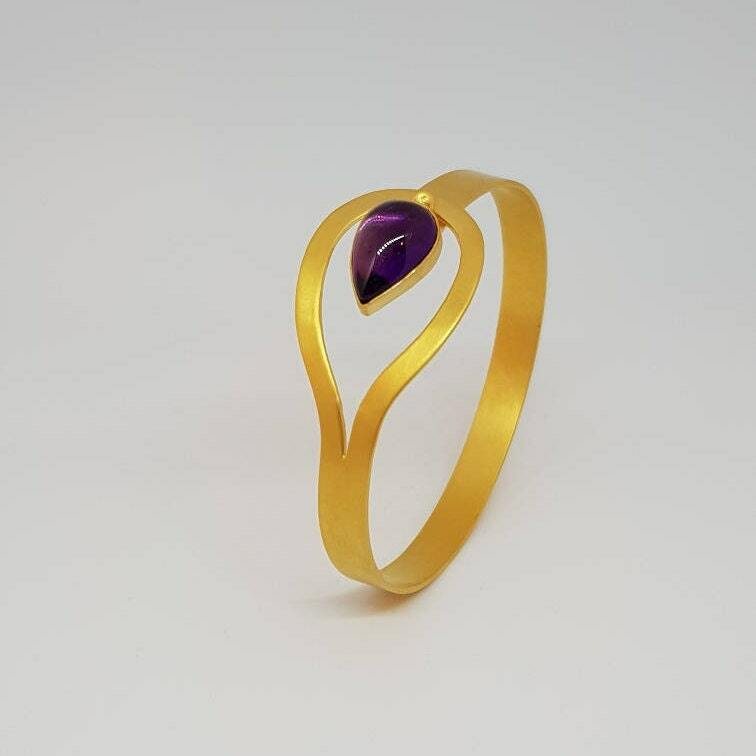 The plating is professionally applied and brushed to create a contemporary look.